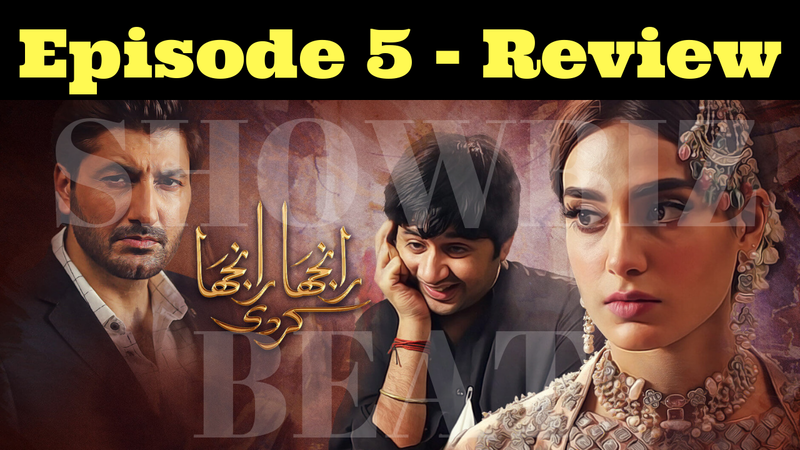 Ranjha Ranjha Kardi Episode 5 - Review - A story with Pace But Engaging. Right after the Official launch of Ranjha Ranjha Kardi, the serial got an immense popularity among the audience. What make this drama perfect, up to the mark and engaging is the Characters of this drama. Every Character adds a meaningful thoughts to the Serial, which makes the drama perfect to watch. All the credit after the Writer of the Serial goes to the Director of the Serial. The Episode 5 of Ranjha Ranjha Kardi starts with the meeting of Noori and Sahir. Noori tries to minimize the distance between the both, But Sahir Keeps on Resisting, And at the end he throws a hated sentence at her, Which makes her to leave. Bhola again enters with a blast, I personally wait for the Episode watch this Character on Screen. All the characters Connects the audiences in a beautiful manner. Noori's Boss inspects her about her routine, in answer Noori lies, But the Boss gives her a first and last warning. When Bhoola Meets Noori and asks for a food, She helps him, while all this stuff happens Sahir Crosses the way and throws his eyes towards them. Next day He inspects her but She Clears all his doubts, After which Sahir again feels for her, but She feels a lot for her with Response to which Sahir gives her the advice that Please do not take our Relationship too Serious. Which shows that how much he loves her, But again the Society factor is getting in the way of both the lovers. The Bhola's mother seems in very worried about the future life of him. And is searching for a good match for him, Mean While his Uncle also considers him for his daughter, Well lets see what happens on wards, Till now on can say that this is a full on entertainment Serial But hum TV.